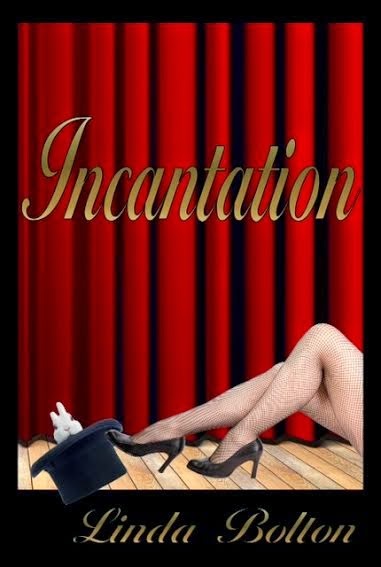 Wowing this Wednesday with author Linda Bolton and her new book Incantation. Tristen is more than a magician, he’s an entertainer. He’s handsome and likes his way with the women. Vegas hasn’t seen magical talent like Tristen’s before, no one has. He has Las Vegas under his spell, will Christina fall under his spell too? 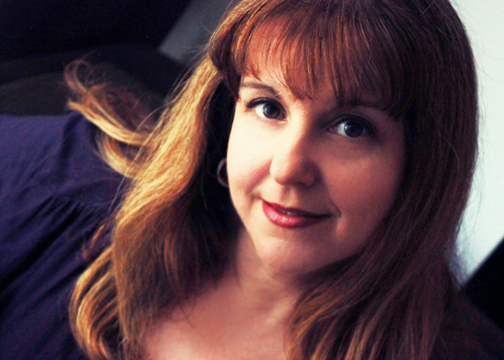 Author Rhonda Patton is on a mission to outlaw bullies! 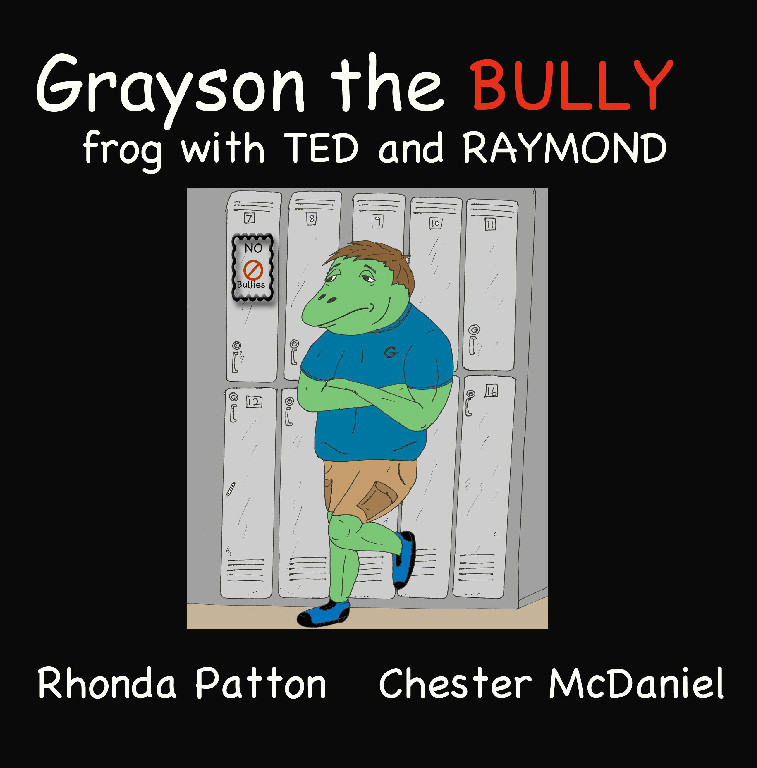 While on Facebook marketing "Ty the Bull" I was looking for others who write about bullies and came across Author Rhonda Patton. 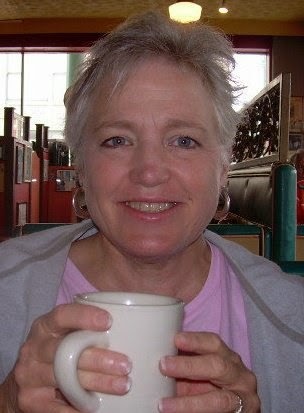 Besides writing several children's books she has also published books on depression. 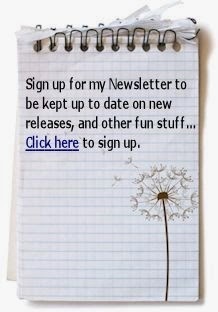 She is multi-talented and shares positive messages to her readers. She is a very generous person and wants to spread her inspiration all over. Rhonda is a giver. She does children's book reviews free… under 50 pages and has graphics design page. She makes the best banners at a low cost. 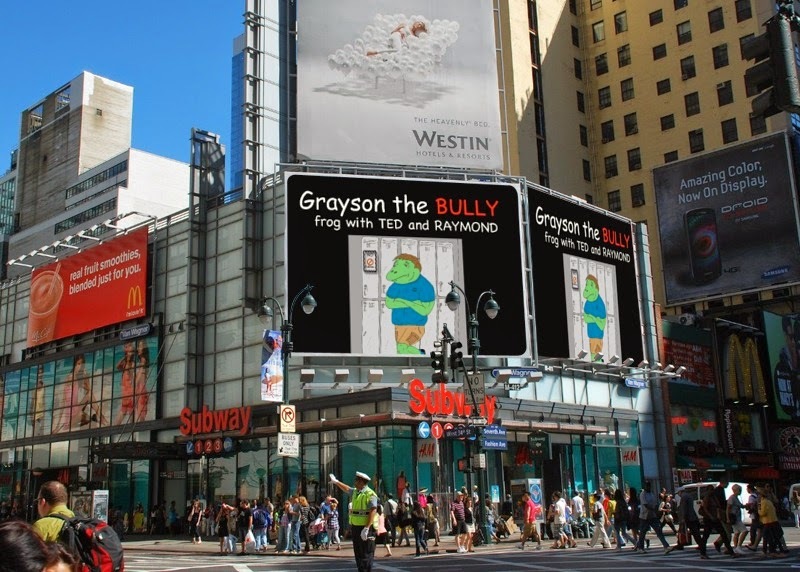 Her book "Grayson the BULLY Frog with Ted and Raymond" caught my attention. I love that the author is getting the word around that bullies are not cool. She is on a mission to see that there are no more bullies left in this world! "Grayson is the Biggest frog who loves to Bully other frogs. In this book he gets taught a lesson. 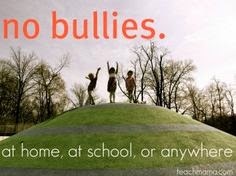 Also, this story shows kids how when one gets bullied how one feels." Rhonda is a Children's book writer, a mother, and wife. She is a children's book reviewer. Rhonda goes to college full-time as a graphics designer. Ted and Raymond came from a story that she created from another story of her own. Rhonda encountered a little frog one day and ever since she became fascinated with collecting frogs, then writing about them. Ted and Raymond are frog friends, who loves to tell their story and help others. Rhonda hopes you will enjoy her frog friends and other stories she has to tell. She is inspiring kids to be better. Today with great pleasure I get to Wow one of my favorite W O W Wednesday Authors, D W Davis, author of the beautiful River Dream trilogy. 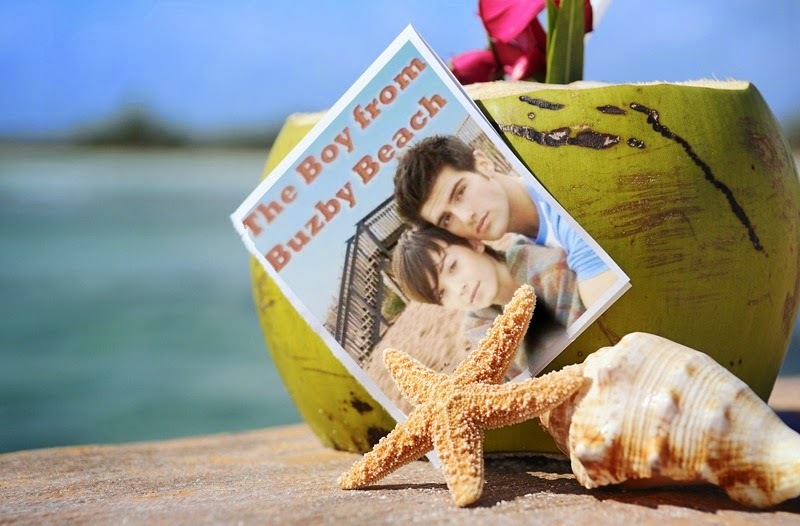 His new book The Boy from Buzby Beach is being released on June 21st! DW is now signed with Master Koda Select Publishing. Please join us Saturday June 21 at 3:00 pm EDT on Facebook for fun, games, and prizes! As the book concludes, an uneasy truce is achieved between Jacques’s mother and father. Jacques agrees to keep in touch with Sean and to give him the chance to earn back the title, Dad. 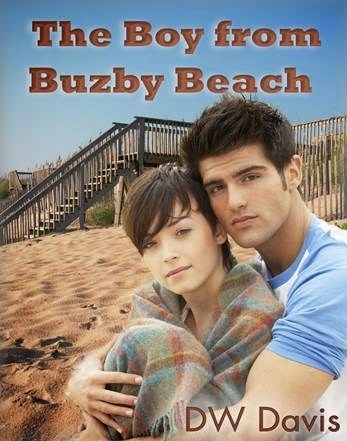 Jacques and Cienna find the summer love both had hoped to find in each other and when Cienna’s visit ends, Jacques learns that she won’t be gone long. Her father is retiring from the military and moving to the island to take over the bookstore. Cienna will be back in time for school. The book ends with Jacques standing at the foot of the stairs to Cienna’s grandparents’ apartment, promising to wait for her. 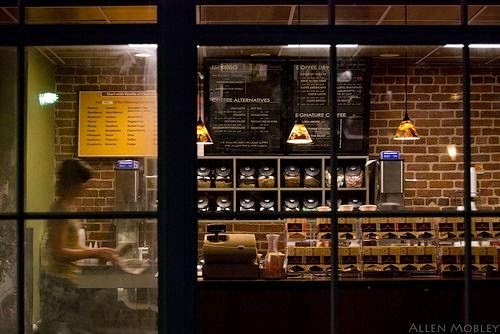 A stiff sea breeze ruffled Jacques’ shaggy black hair as he blinked the sleep out of his eyes and tried to focus on getting the key into the lock on the front door of his mother’s coffee shop. D. W. Davis has a comforting way of reeling in his readers. The Boy from Bugzy Beach is no exception. 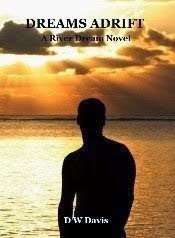 I read the River Dream series and fell in love with the story lines and the flawless writing style that came across effortless on the pages. The author has a gentle style that takes his reader into the lives of his characters. This story captured my attention from the first beautifully poetic paragraph. Just Mr Davis' use of wordage is so pleasing. I couldn't help but take my time holding onto the many memorable phrases and endearing moments. The three dimensional characters are familiar and life-like. There is a vulnerability to his characters that makes me drawn to them even more.Young love is so endearing. This coming of age story is so sweet with all the awkward moments and the firsts. It's really nice seeing new love through a guys point of view. This is more than just that. 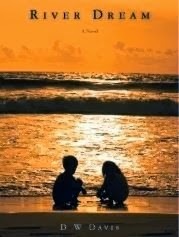 This is an emotional read that is sure to touch people. “Jacques clamped his mouth shut, pointed to the placard advertising the teen romance, River Dream, and held up two fingers. The clerk, a girl he recognized from South Hanover High, but didn’t really know, smirked at him and told him he owed twelve bucks. Jacques handed her a twenty and she counted out his change before handing him the two tickets. 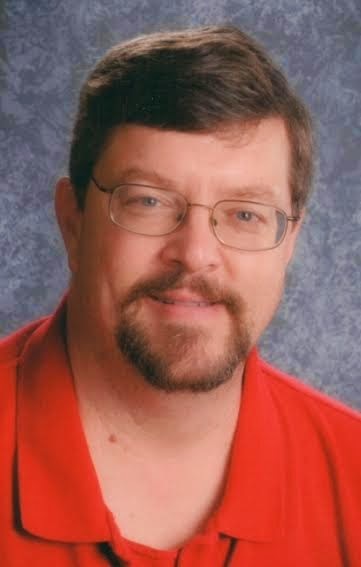 DW Davis is an independent author of young adult romance novels told from the guy's perspective. DW’s writing reflects his memories of growing up along the North Carolina coast near Wrightsville and Carolina Beaches. DW left that area when he graduated high school and traveled half-way around the world and back collecting memories and experiences which help shape his characters. Now back in eastern North Carolina, DW enjoys bringing to life characters whose adventures take place in his favorite part of the world. 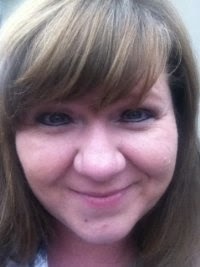 Hello, I’m Jane Carroll author of Bertha-Size Your Life! I’ve spent most of my life earning a living as a registered nurse but writing, speaking and coaching are my true passions. I’ve always loved to read and have especially enjoyed reading personal growth books. About ten years ago I decided to write one of my own for women who were going through the empty nest period of life. 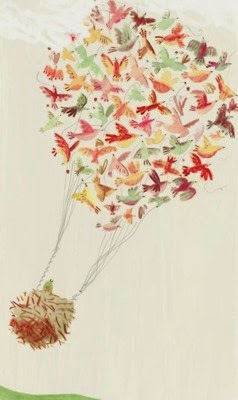 It was going to be a book of self-discovery exercises entitled, When Little Birds Fly: Feathering Your Empty Nest with Brightly Colored Feathers. Yeah, the book was about as exciting as the title. I won’t go into all the details (they’re in the book) but a quirky character named Bertha took over the book and my life. Bertha-Size was first released back in 2006 as a paperback…yes, before Kindle was even around. And we had quite the adventure. In fact, I sold my house in order to finance what I thought would be a blossoming career as a writer, complete with an appearance on Oprah. Well it didn’t happen quite like that and I was broke and back to work in a couple of years. I thought my ‘life’ and writing career were over but Bertha had other ideas. She let me wallow in it for a few years before she kicked me in the backside with her highest heels and told me to get back to writing…she wanted to see the world. So I found a new publisher and she started traveling…Bertha-Sizing women all over the globe. After another transition, Master Koda Select Publishing has just re-released Bertha in the Kindle format. I’m thinking the third time is definitely the charm and I’m very happy to be part of the MKSP family. Her kids are grown, her relationship is winding down. For better or worse, she is about to settle into her empty nest, or so she thinks. 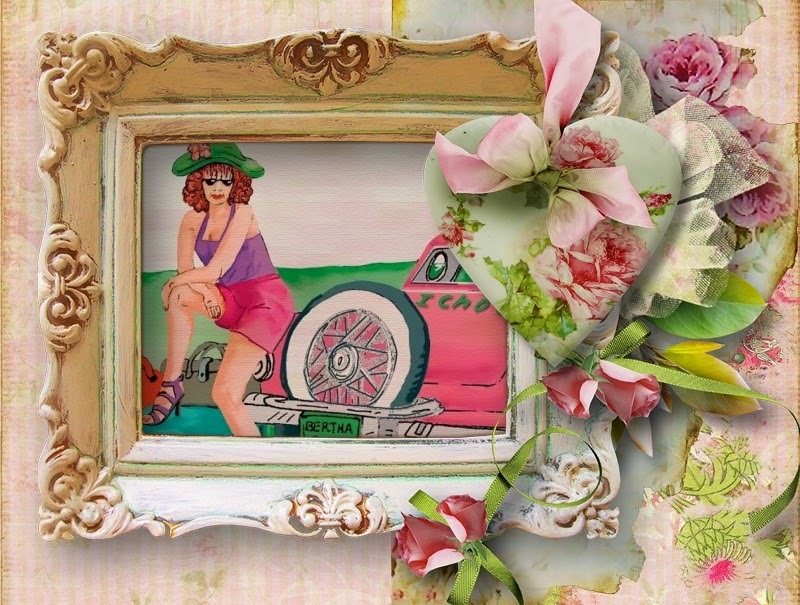 A chance meeting with a familiar stranger changes all of that and Bertha, a zany redhead, moves in bringing along her own personalized soapbox for impromptu lessons. With each chapter, the narrator becomes more familiar with Bertha’s quirky wardrobe of colorful capris, tube tops, and high-heeled sandals. She even anticipates the next words of wisdom as Bertha conquers life’s everyday issues in delightfully unique ways. Although each chapter is designed to entertain, Bertha finds a way of showing us how to embrace life rather than just survive it. Reading Bertha-Size Your Life was almost as important as when I was a kid and read The Little Train That Could. The same message is there: Change your way of thinking and change will come. 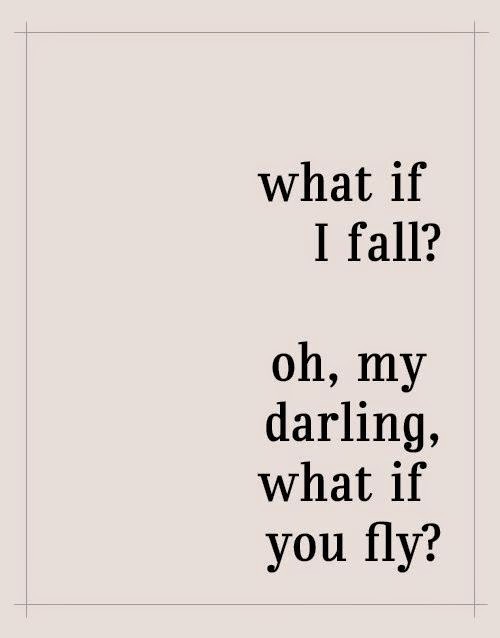 It is a much needed reminder to think positive and to wipe those unkind messages out of our minds. I am often guilty of spending too much time with the negative voices in my head. 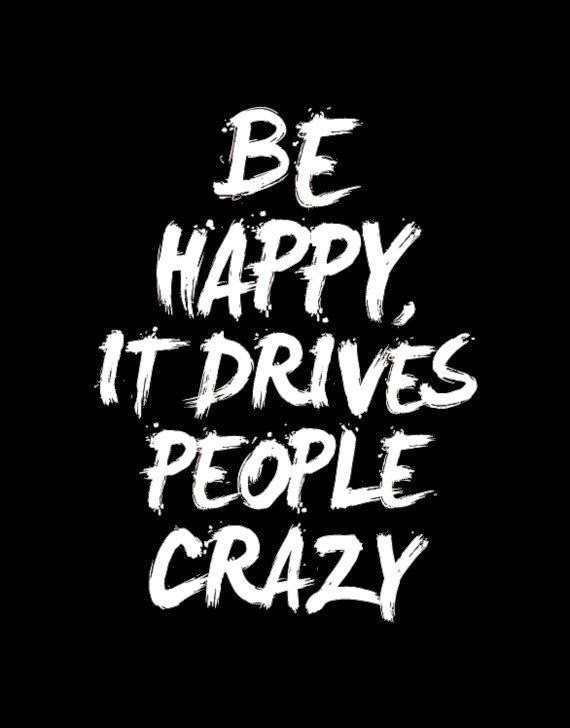 It is a learned trait and is something I have molded and perfected throughout the years. This book deals with a woman going through an empty nest syndrome but it could apply to all of us. 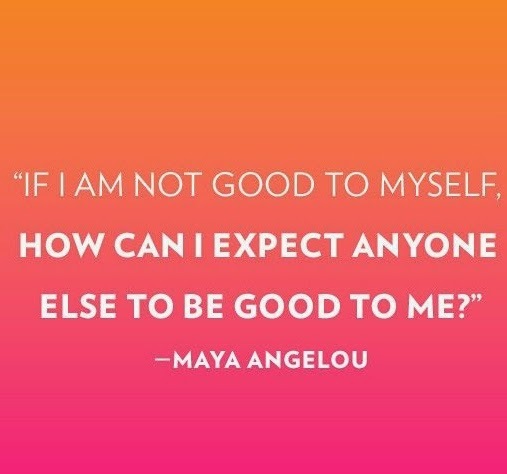 We all need to step outside ourselves to find a way to make our lives better. I am so glad this book was written because it makes you STOP and THINK about how much those voices are weighing us down. This was a very sweet book and an enjoyable read. 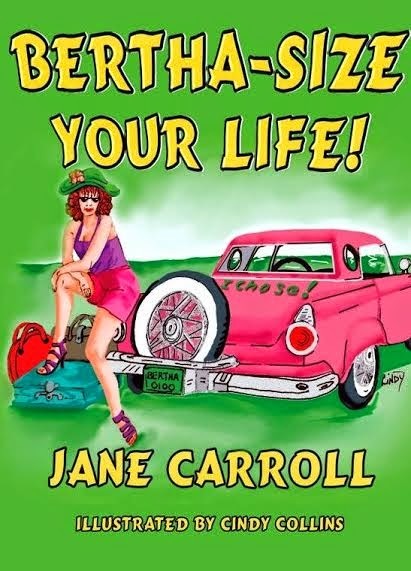 Alabamian Jane Carroll, Author of Bertha-Size Your Life, is a Life Coach, Speaker, Blogger, Registered Nurse, Reiki Master, Mother, Grandmother, and long-time student of life. She has seen the focus of her over 30 year nursing career change from illness to wellness to wholeness, a philosophy that permeates everything she does. Today I come to you all with a plea of help. Arlene R O’Neil is one of the most giving people I know. She is not a taker and never will be. It was so hard to convince her to let me take on this challenge to get her the assistance she needs right now. She has to undergo an intense hip surgery. This will make this her fifth surgery in total. 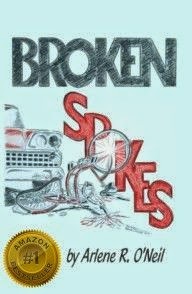 In Arlene’s powerful memoir, “Broken Spokes” she writes about the accident she had on her bike when she was just a little girl. In this story you suffer right along with Arlene as she shares the hardships she had to endure. 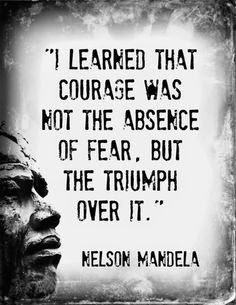 Our Arlene is a fighter and is not about to give up. She has so much to live for. 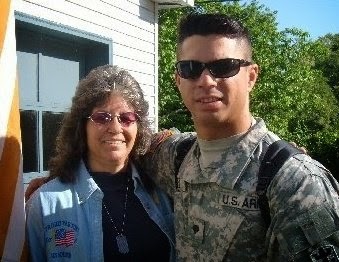 She has goats and dogs that are her babies along with her grown son,Tanner who has been in the army for 13 years, five tours of duties, won a bronze star and continues to fight for our country. Besides her family, Arlene has many friends that love and adore her. That is because of the person she is. But she can’t do this without our help. There are times in life when we need to reach out to others for support. After much convincing Arlene has agreed to let me start a Go Fund Me page for her. She knows without the help she will not be able to have the surgery that might very well save her and her leg. This surgery is long overdo. All support and prayers are welcomed. It takes a village and I am here to come together to help this woman who so desperately needs us now.